Digital flipbook online version of the magazine is FREE! All display ads are hyperlinked to the advertisers business. 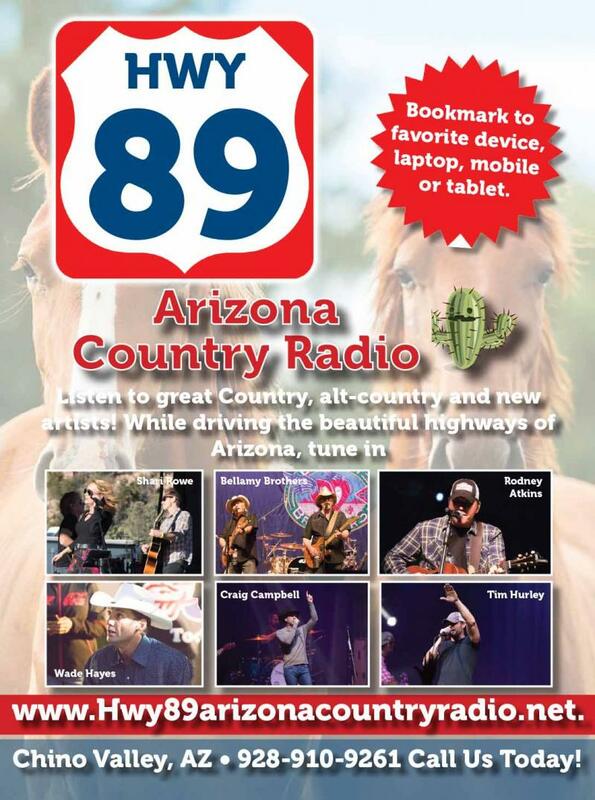 You will receive 30 x :20 second radio commercials per month on www.hwy89arizonacountryradio.net when advertising in Horse & Agriculture Magazine. Dec, Feb, April, June, July, Aug, and Oct. Deadline for camera ready ads is the 12th of the preceeding month of publishing. If we design please send logos, and info two weeks before deadline. To allow time to create your business the best looking ad! Example: Feb 1, deadline is Jan 12 for camera ready ads. If we design the ad, please ad $35.00 for 1/4 page, $45 1/2 page, and $75 for full page. One time fee, unless a change in ad. You may use that ad in other publications. Click the banner to hear the station!